Unfortunately, it seems like once again the Silverstone based team is garnering more media attention Off-track then upon it, having just had a 2012-date selected for another nefarious lawsuit – which I’d prefer to think is a waste of time, since the logic over the harsh claims towards Team Lotus’s Tony fernandes, Mike Gascoyne and Jean Claude Migeot’s Aerolab Srl seem far-fetched to Mwah... Basically just another stalling tactic by Mr. Vijay Mallya, who seems loathe paying any of his bills on time! 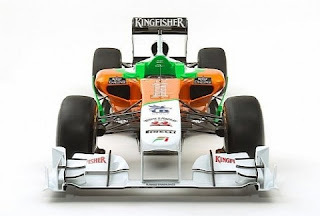 As for the VJM04 racecar, its apparently using a muted blade-type Rollhoop structure, a la its arch rival Team Lotus’s T-128 design; Hmm? 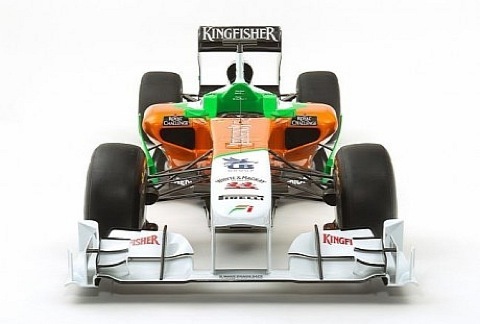 Mallya & Co aren’t trying to say that Gascoyne copied this too, eh? As this is the first new chassis designed under the tutelage of new Technical Director Andrew Green, as James Key departed for the same position over at Sauber.